Are you an offbeat bride who wants to do something really different on her wedding? Thinking of doing something spooky or creepy, then consider Halloween themed party. 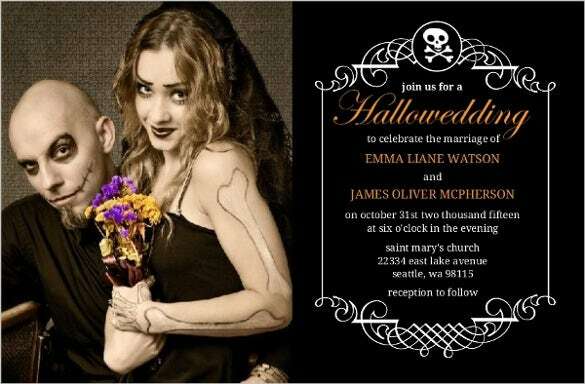 Get ideas on Halloween wedding invitation to make your wedding announcements looks as creepy as possible.You can also see Chalkboard Invitation Templates. 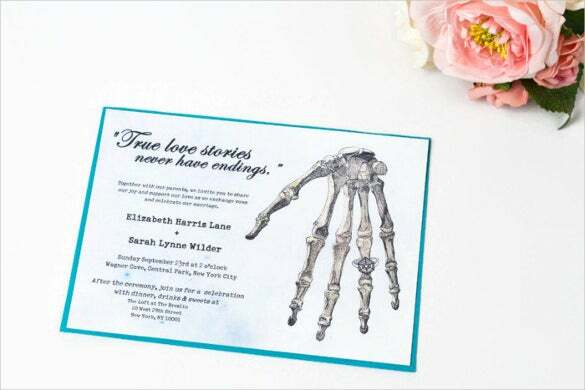 These save the dates announcements can be made to appear scary with pictures of skeleton and skulls. Use creative terrifying language for the text to make it sound horrifying to go with the look of the card. 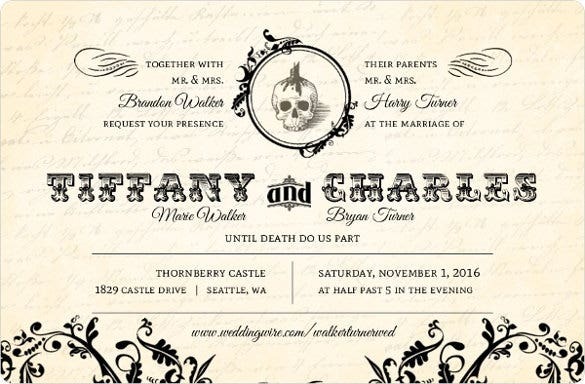 Select the scariest template available with us in variety of formatting options like PSD, PDF, MS Word and many more Wedding Invitation Template. For those who like to do something different and unique every single time. 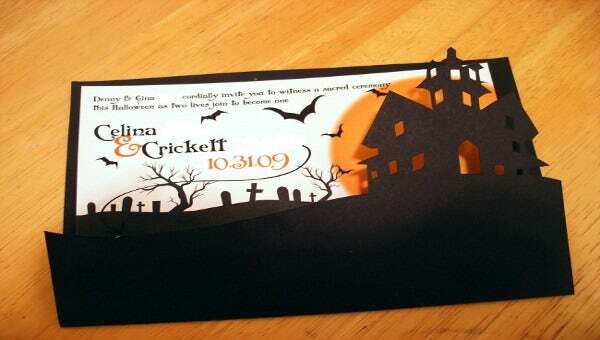 No one must have heard of Halloween wedding invitation. 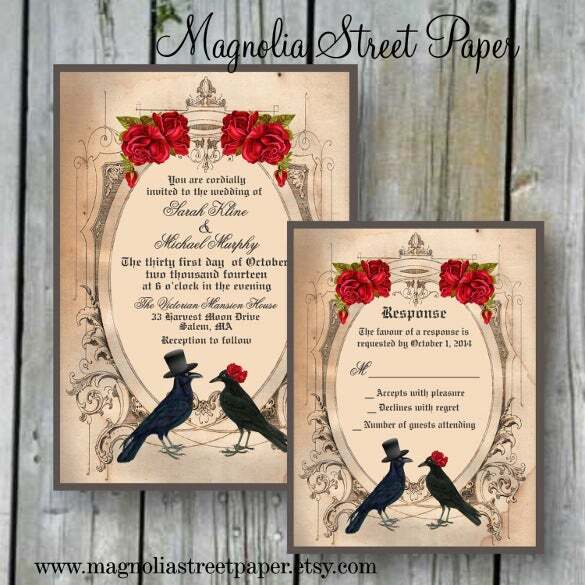 So now you can invite them with these printable crow wedding invitation. Skeletons and hearts! What else can one who is looking forward to weirdness ask for? 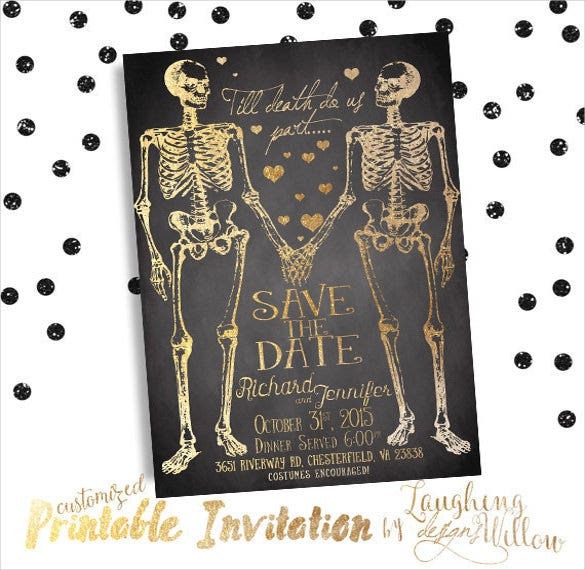 Complete the remaining task on your wedding list by going for these couple skeleton wedding invitation. We help you achieve what you aspire for by giving you what you want. 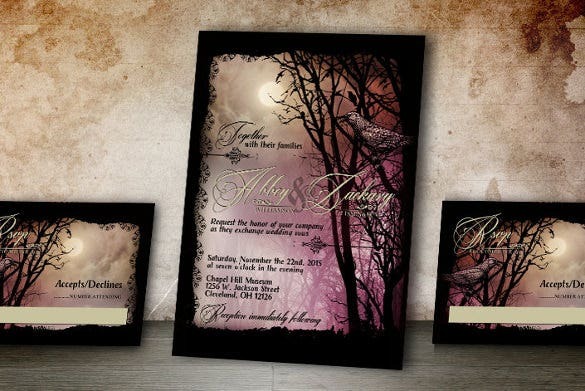 This rustic crow wedding invitation is an out of the box experience for those who want something different. 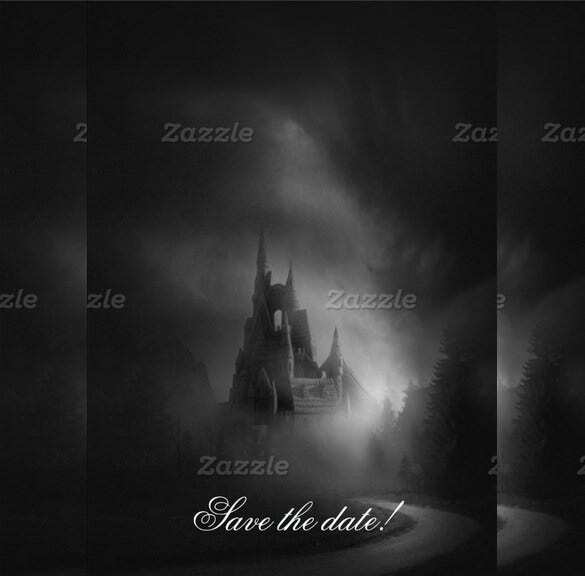 Gothic is never out of trend, believe it or not! 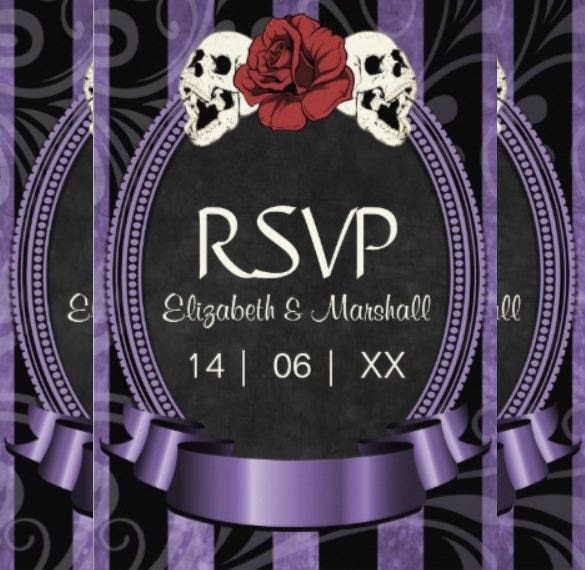 So why not think about theming your wedding invitation on gothic? 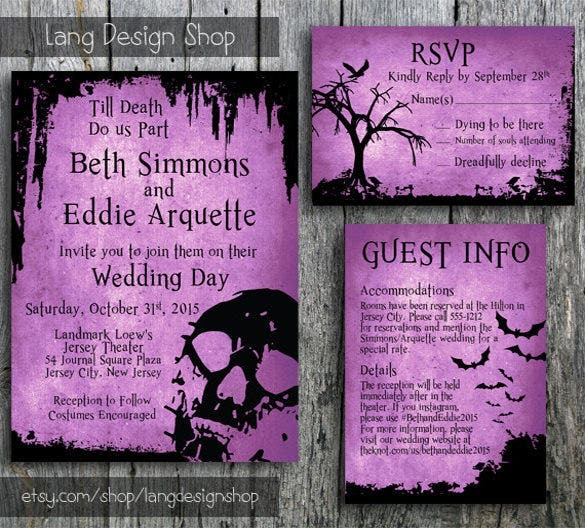 We make your task easy by introducing to you these gothic spider wedding invitation. For all your spooky fetish we help you fulfil them all this wedding season. 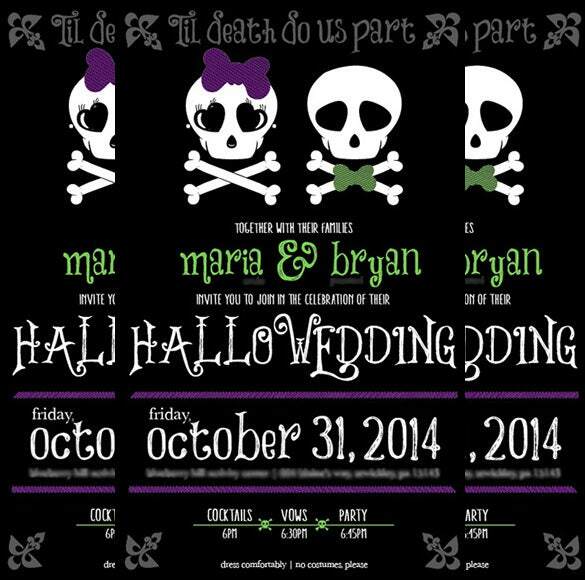 Now invite your friends and relatives to your wedding with these spooky stationery wedding invitations. 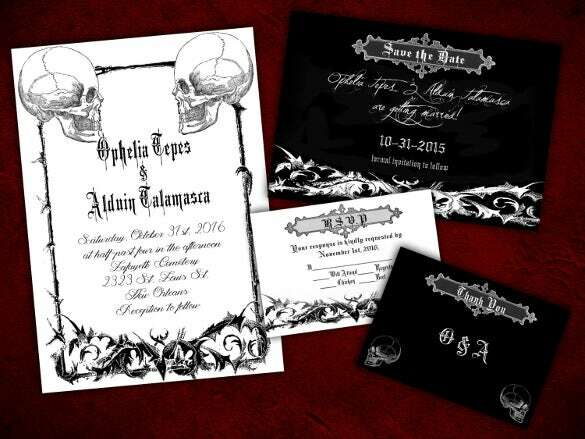 Get to do something fantastic with your wedding invitations by going in for this Halloween invite that too in filigree border to make it more impactful. 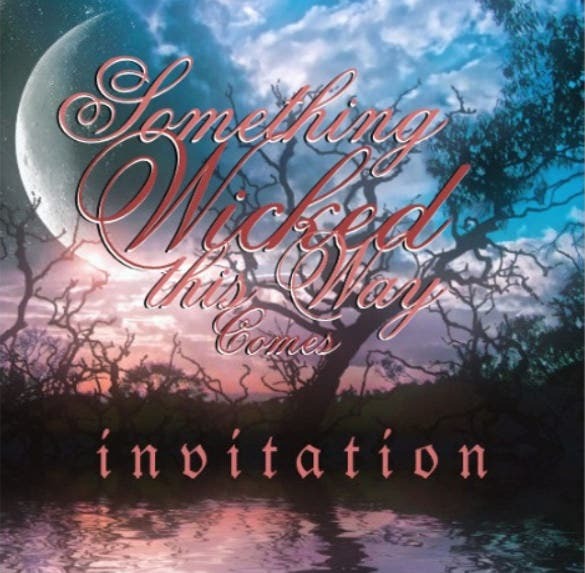 Make your wedding invitation gothic by choosing this invitation for your guests. 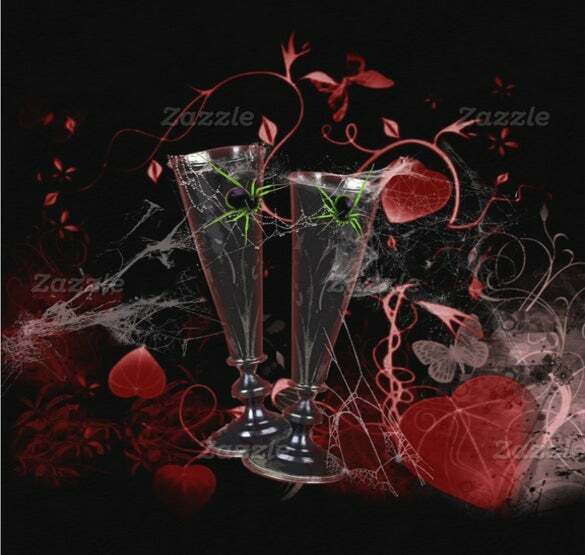 It will be a good attempt in try doing something out of the box especially when something is related to your special day. 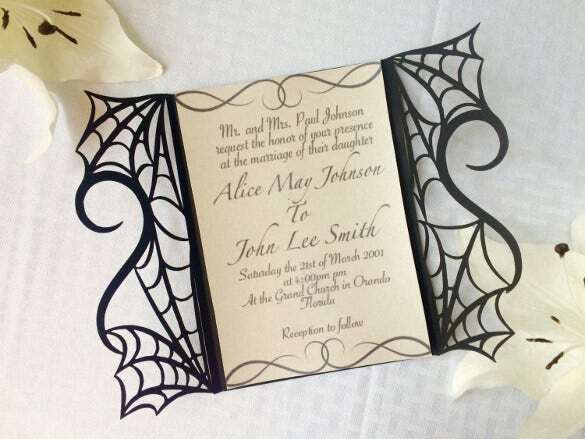 Spiders are scary for some people but we are sure that some people will love the idea of you inviting them to your wedding with this scary and a little creepy spider web Halloween wedding invitation. 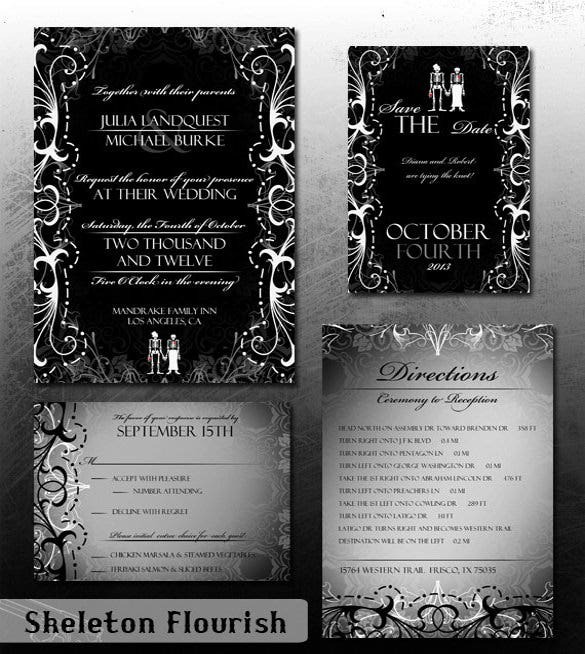 Add some excitement for your guests with this gate fold wedding invitation. 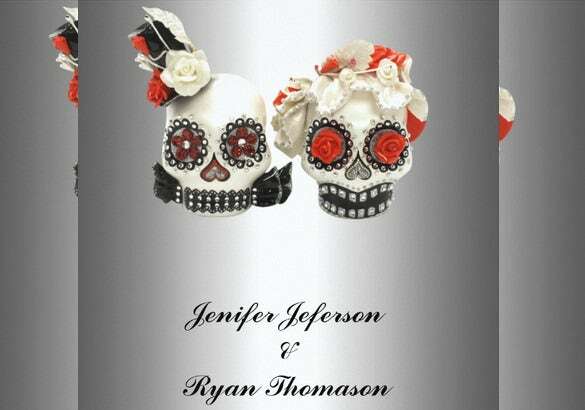 With black colour in the background and white coloured skulls, they will surely look forward to your wedding with anticipations.